Are Your IT Systems Safe? Security isn’t just about protecting your staff and your physical property anymore. 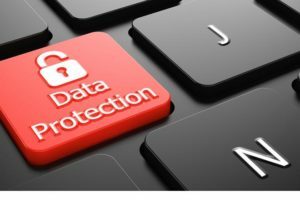 Today’s business assets include digital data: customer contact information, customer credit card numbers, intellectual property, confidential documents, financial information, banking information, and a whole range of other information you keep on your computer systems. It also includes the infrastructure used to store and move this data such as networks, databases, and even “smart” devices including TVs, fire alarms, security cameras, and more. Today’s world is more interconnected than ever before. Yet, for all its advantages, increased connectivity brings increased risk of theft, fraud, and abuse. As Americans become more reliant on modern technology, we also become more vulnerable to cyberattacks such as corporate security breaches, spear phishing, and social media fraud. The more complex systems become, the more you need sophisticated cybersecurity measures to keep those systems safe – and the more you need CompCiti Business Solutions. Contact us to find out how a vulnerability scan can help you! There are many cybersecurity services in New York. Our experience, expertise, and professionalism in understanding and providing tailor-made solutions to our clients makes us cut above the rest. CompCiti’s proven track record is one of the advantages that set us apart. Our seasoned professionals provide comprehensive cybersecurity services that are scalable and customizable to your specific needs. Many corporations, non-profits, and government agencies in New York have trusted their systems to CompCiti since 1996, and we consistently maintain an A+ BBB rating and 5-Star Google rating. Have special cybersecurity needs? We can develop a specialized package to meet your needs. 24/7 emergency services to our clients, should the worst happenCall us at (212) 594-4374 to find out more about our Cybersecurity Management Program or any other of our cybersecurity and IT services.